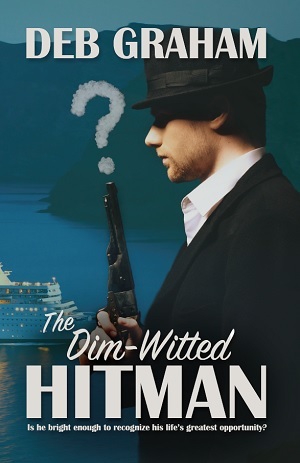 Dimmie is an oddly endearing young hitman who has never left New York City. I’ve met people like him; folks who fear the big wide world. Dimmie’s character speaks to me; a young man trapped in a life he doesn’t want but seeing no way out, he manages to get by with humor and a confidence bigger than he knows. The conflict is with Old Man Kerrick, a former mob boss with a strong sense of honor who turned state’s evidence. I “hear” them speak to me, and I think you’ll come to love and respect them both. Lucky Callahan, not so much. Dimmie sipped his hot cocoa as his world crashed around him. His hand shook. With only hours left to live, he had blocked out Mam’s voice in his mind about no sweets before dinner and asked for two donuts from the coffee bar. Extra whipped cream in the cocoa, too. He bit the jelly one first, wondering if being dead would hurt. He hadn’t thought about if the people he’d killed felt any pain; he was just following orders. Last time the dentist had to fill a cavity, she had promised it wouldn’t hurt, but it did. Would dying hurt as much as Dr Sim’s drill? He’d find out soon enough. As soon as word reached the city about the mess he’d made, it’d be all over.